Buy a Restaurant at a Great Low Price /Low Rent! Can't Go Wrong! So you wnt to get into the restaurant business and you don't know where to start...HINT: Low Rent/Low Price = Lower Risk! 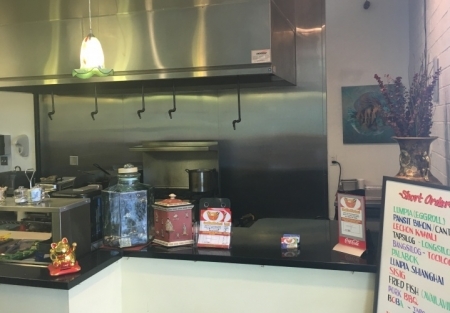 Here is a great opportunity to own a restaurant with a minimal investment. This restaurant is 1,200 square feet and enjoys low rent at only $1,281 currently per month. This restaurant currently serves lunch and dinner but could easily be changed to include breakfast or a change of menu. The center has a good anchor with many great businesses to support your new restaurant. Owner operates business 6 days a week and closed on Tuesdays. Location is close to freeway and off to main streets thousands of cars pass daily. Remember this restaurant comes with LOW LOW LOW rent. Restaurant is very clean and all equipment looks and good working order. This kitchen is a dream come true for the low investment and all the equipment that is in place. If you ever wanted to own your own restaurant this is a must see opportunity !!!. Please visit www.sellingrestaurants.com to get the name and location of this listing.